As always I started my Sunday off by finishing and posting last week's My Week In Words. You can check that out here. My aunt Karen visited as usual and we had a catch up. 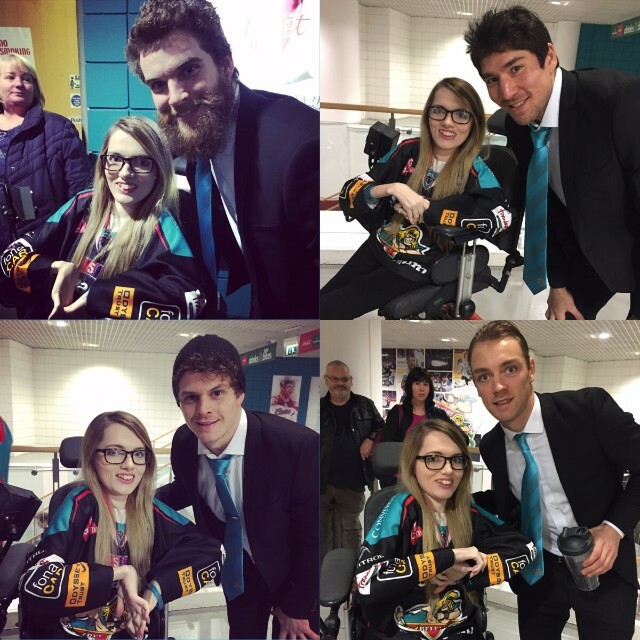 I followed the Belfast Giants game in Nottingham on Twitter, which they lost. Guh... Anyway, Pittsburgh and Vancouver both had early games so I tuned in to flick between them. They both also lost... So yeah, all in all it wasn't a great hockey day for me. Other than that I got artsy and worked on my giveaway entry. I had my doctor's appointment on Monday. It turned out it wasn't a locum and was in fact the doctor I went to about my anxiety back in May. I explained how it hadn't gotten any easier and I was feeling really worn out because of it. I think because I brought up the fact I had a panic attack in class, he for some reason thought rather than it being an ongoing thing it had triggered my anxiety again. He said that it might just go away... I reiterated that I've been dealing with it since April and he suggested I go on medication. At first he wanted me to try beta blockers but when I asked would they be safe with my heart he couldn't say. I think that's the problem going to your GP, their knowledge is so limited when it comes to disabilities like mine. In the end he decided to put me back on antidepressants I was on a few years back. They worked for me last time and helped get my head above water. He said they're not exactly a baby dose but they are a really small dose. It was more than enough last time, so hopefully it will be again. He didn't offer me any long term solution to go with them, such as counselling or anything. I felt too anxious and shy to ask then, but I have to go back just before this script ends so I'll see how I go. 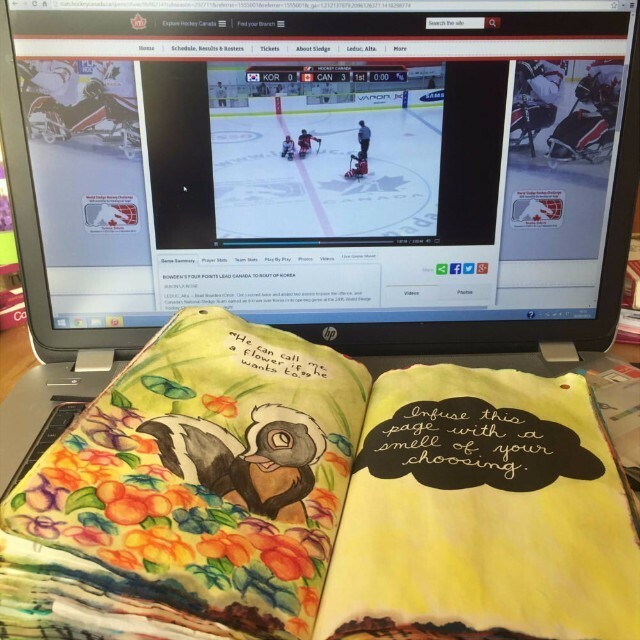 Other than that I watched a Canada vs Korea ice sledge hockey game and finished off my giveaway entry. I also got a really bad migraine and had to have a nap. Headaches have been pretty persistent lately. On Tuesday I finished and posted last week's Disney inspired Miscellaneous Tuesday post. You can find that here. The rest of the day was pretty unproductive. I was worn out all week so I tried to do as little as possible. Most of the day I watched a bunch of Youtube. Oh, you may remember in last week's MYIW I wrote about the Belfast Giants' webcast I paid £8 to watch and how bad it was. Well I got an email from 247.tv apologising for the poor quality. They also gave a code to get the next game half price. So that was pretty dead on of them. Another awesome thing that happened on Tuesday was Eva bought me a new t-shirt and a shampoo bar from Lush when she was having a day out in Belfast with a friend. 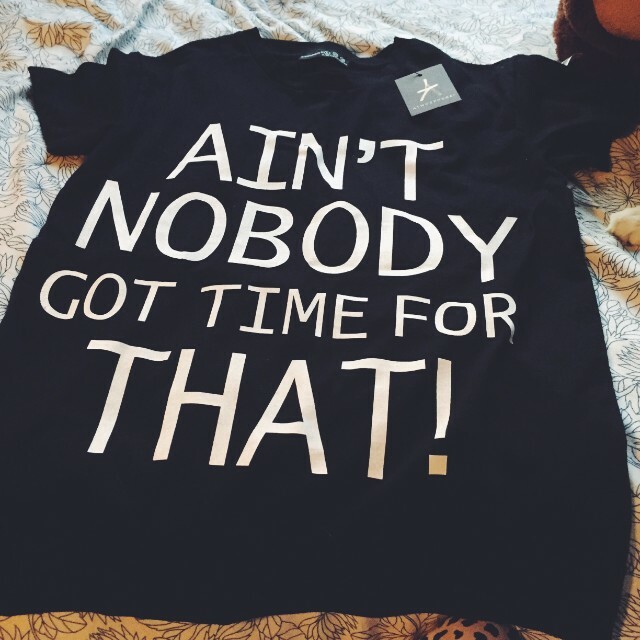 I'm in love with the t-shirt. 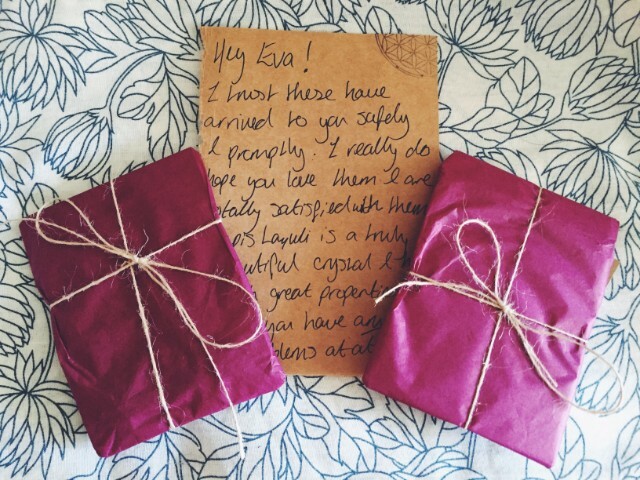 On Wednesday I woke up to find necklaces that Eva and I had bought from Etsy last weekend had arrived. 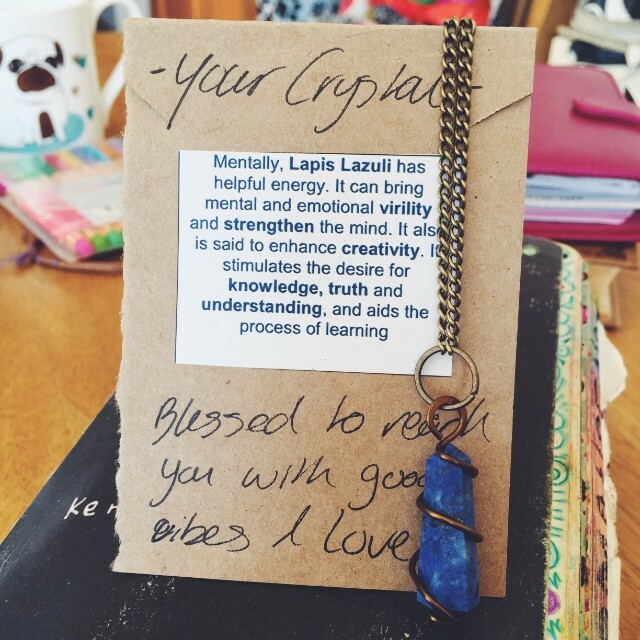 Recently we became interested in healing crystals and I've loved the Lapis Lazuli stone since I read about it in Vampire Diaries. I already have a ring with it. Little did I know what the stone is supposed to promote would be so apt for me right now. 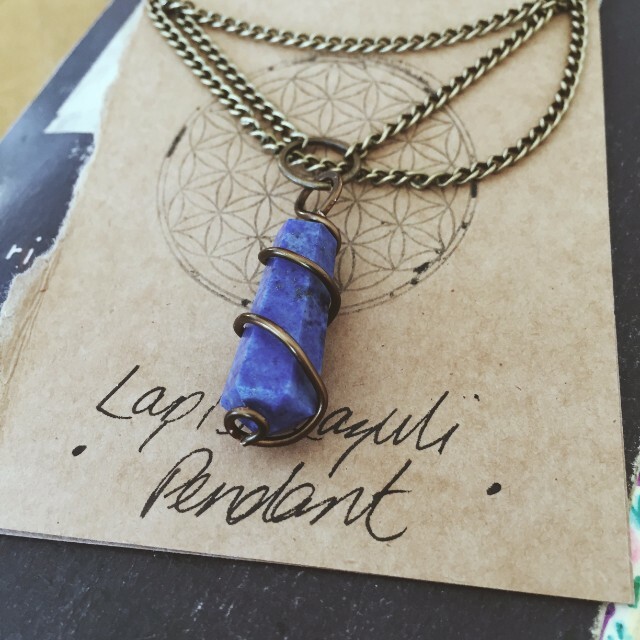 The necklaces are handmade and were £14 each. The shop is called Agharta Jewellery and they came beautifully packaged and had such a personal touch. We also got a 10% off our next purchase voucher. Mine and Eva's stones are very different. Hers is darker, more like the one on my ring, and mine is lighter. I am pretty much in love with this necklace and plan to purchase many more. Aside from that highlight from Wednesday, I worked on Thursday's post, practised on my tiny laptop because moving from a 15 inch to 7 inch laptop is super difficult and I had my mum cancel the dentist appointment I was supposed to have on Friday morning as I wanted to relax before the game. 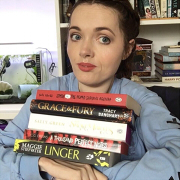 Another major highlight of Wednesday and the week in general was finding out I won the giveaway! It's the second time I've found out I've won a competition while watching The Vampire Diaries with Eva, so I guess either TVD or Eva are a good omen for me! I couldn't believe I'd won and I loved seeing all the different entries. Some very talented and creative people out there. Thursday wasn't a great day. I got my latest Arts 'n' Crafts post up. You can read that here. Then the rest of the day was spent trying to distract myself from my anxiety before class. I listened to the A View From The Bridge podcast and that really helped but all in all it was a horrible day. The worst anxiety I'd had in quite a while. By the time I had to go to class I was really worn out and out of it but I was determined not to skip like I did the week before. I got to class and the teacher came over to tell me we were starting class with a roleplay and two people would be doing a mock interview with me. I've done two other roleplays so far and they were fine but the difference was I was prepared for them. My anxiety boiled over and as the teacher walked away I said to Jenni, my classroom assistant, that I didn't think I could do it. She asked if I wanted to leave and I went into the bathroom and basically started crying. I haven't cried in front of anyone but family in about ten years, so yeah.. that was weird. The teacher came to find me and I explained what had happened. She said I could do it with just one other person, but I couldn't. So it was decided that I'd sit it out and come in early next week and do it with Jenni instead. Hopefully that way I'll avoid a meltdown. They asked if I wanted to go home but I decided I'd wait until the roleplays were over and then I'd stay the rest of the class. I'm glad I did. My instinct was to just get out of there so by staying I felt like I'd achieved something at least. We were learning about creative writing and the rest of the class went well. We did some work and the teacher asked me to read out two of my answers that she liked and considering reading out makes me really anxious I was surprised I held it together okay which was another positive I took away from the night. 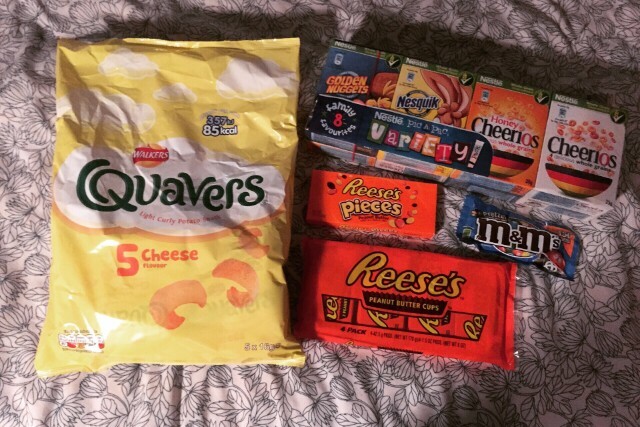 I was happy to find Eva had gotten out of work early when I got home and as if she'd had some kind of premonition as to how my night had went she had bought me a bunch of my favourite goodies! I have the best sister. I tucked into some Reese's Pieces and Quavers and we watched an episode of The Vampire Diaries to round off the night. Friday was EXACTLY what I needed. It was an immense night. It was a game day so naturally most of the day was spent doing nothing before getting ready to go. Eva and I got the train to the Oddyssey. It was a big night as it was Bleed Teal For Tom night. Tom is a fifteen year old young man who has Diamond Blackfan Anaemia which is a rare blood disorder that means he has to have blood transfusions every few weeks. Soon he is going to be having a bone marrow transplant and will have to move to London for a while. He's been a fan of the Giants for a long time and they decided to raise money to help the family afford the expense of living in London during the difficult time as well as raise awareness of the importance of blood donation. They put together an amazing night for him and there was such a turn out. There was a raffle with amazing prizes, they sold bracelets, the whole team had special jerseys that were all being raffled off and Darryl Lloyd was having his beard shaved off for £100 donation! Tom did the ceremonial puck drop, they gave his whole family jerseys, he had a suit matching the ones the Giants wear with the teal tie etc and he even had his own 'look up' moment on the screen. Not to mention his own chant courtesy of the Boomerang Corner and he won the Giants' man of the match. They really went all out for him and it was awesome to see and be part of. Aside from the great night they put on, they also put on such a performance on the ice too and we won 6-3! As if the night couldn't get any better for me it did on a personal level. I met and chatted with three people that read my blog and actually liked it! Some even said love! It's the first time I've met anyone in person that I don't already know that reads it. I genuinely forget sometimes that it's actual people that read it and not just names on a screen or my close blogging friends. It was so surreal. The people I met were so lovely and I feel like I came across okay. A lot of the time my anxiety makes me feel like I don't know what to say and like I come across rude but I didn't feel that way after talking with them. I was on cloud 9 after. To round off an otherwise perfect night Eva and I stayed after the game to see if we could meet some of the players. I am so thankful to Eva for this because she wasn't very well but she did it nonetheless. She always goes above and beyond for me. She got me photos with four of the players! The first at the top is Darryl Lloyd before he had his beard shaved off! In the photo next to that one is Ray Sawada, below that is Kevin Phillips and the one with that hat is Craig Peacock. They were all lovely, but Sawada was particularly nice. He asked my name and had a bit of banter with the girls I was talking to. It just felt a little more personal or something. Hard to believe he was the same person throwing punches at the end of the match! All in all a surreal and perfect night and exactly what I needed this week. I was shattered on Saturday so I didn't really do very much. My mum left to go to England for my granny's birthday. We're not very close to my granny on my mum's side but only because we haven't seen her very much. I always feel guilty about that so I do try and make sure to send her birthday cards etc. My mum had suggested getting her this necklace this year and I thought it was a lovely idea. My mum's side has suffered a lot of loss and although they're not as religious in the Christian sense as my dad's side, they'd be quite spiritual. So my mum thought this necklace with a white feather was perfect as my mum always says there's an angel near when she finds a white feather. 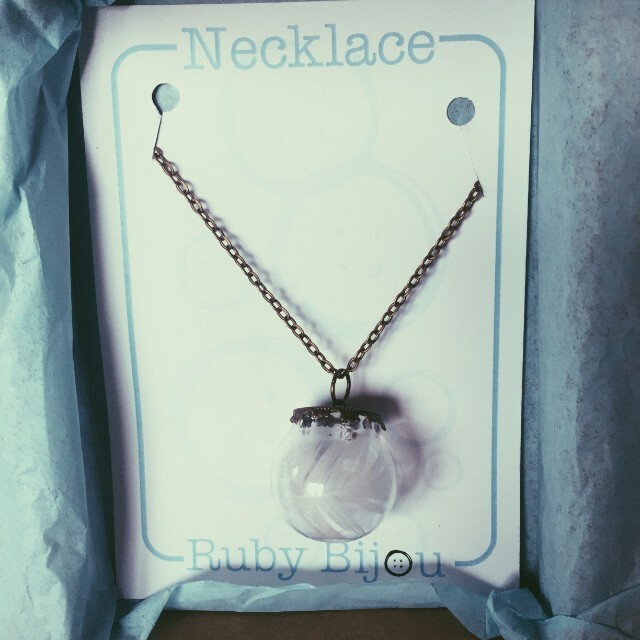 It was £14 from Ruby Bijou. 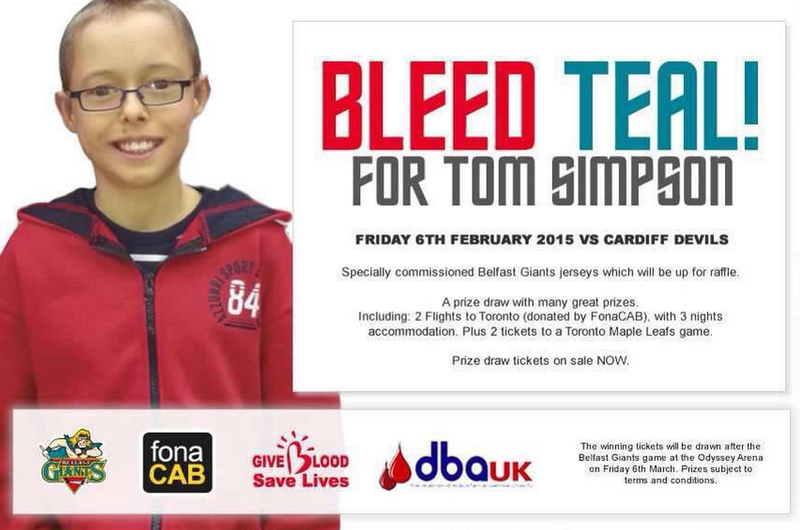 The Giants announced they raised £19,000 for Tom which is just amazing. They were playing away in Braehead last night and Braehead announced they were going to collect for Tom too. So not only was I proud of the my hockey family, but also some of our extended hockey family in general. We lost 1-0 to Braehead but I guess there was less of a sting when Adam Keefe collected a cheque for £1000 at the end of the game. All in all £20,000 was raised for an amazing cause. It was a bit of a roller coaster of a week but it definitely ended on a high note and there was positives to be taken away from the bad days too. I think as long as I can continue to realise and appreciate the positives even when I'm at my worst I will continue to get better and get over this irrational anxiety I've been feeling these last months and keep moving forward. What are some of your positives you can take from the week just passed? Well, if the above doesn't confirm it, I just want to inform your readers this is not your best friend Gary :) and maybe I should come up with another alias to post on here in the future so as to avoid confusion. Friday night was even better than the first game of my second stint against Fife. I think I dodged a bullet by not going to the 0-4 shutout at home to the Panthers because Man Utd were playing albeit achieving our own horror result in the process. I was delayed getting there because I went to the shopping centre to get a sim for my ipad so I could use the ipad during the breaks but they had none in stock. Then I took the quickest route (courtesy of Google Maps) but unbeknownst to me part of the route was closed so I had to take the diversion that just brought me out at Holywood. Nevertheless I arrived at about 1815 and got parked right next to the entrance. This time I ordered food with my Fanta and the hot'n'spicy burger went down a treat. Not long after the teams came out for the warm-up, they announced a delay of 15 minutes with so many people descending on our wonderful arena. They said afterwards that the attendance topped 6000, a magnificent total. Boy was it worth the wait. Young Tom was treated like a king and rightly so. I don't think I would have the strength to go through what he has to. I thought presenting sweaters to the whole family was a lovely touch and the money raised will go to a great cause. While certain other sports represent some of what is worst about our country, I have quickly learned that ice hockey is rooted in the community and the hockey family is a tight-knit one. With the Giants' recent patchy form, would they be overcome or would they ride the wave of emotion? Thankfully, it was the latter. Finally we saw the Kevin Westgarth who played in the NHL, who imposed himself on the opposition with his stick and his fists, setting the tone for a dominant first period and ultimately, a convincing win. Mike Kompon has scored the go-ahead goal in both games I have been to and it's a good habit to have. I can't believe how much I have written already about my second Giants experience. I wish I'd not stopped going all those years ago but better late than never! If I keep going, this reply will almost be as long as your blog. Am listening to NY Islanders @ Buffalo and a bit miffed that the radio station played ads over the Canadian anthem and the start of the American but I sang along once they rejoined the game. They say Canada could support more teams and there should be one in Québec City but they need to be careful before putting one along the border with Buffalo already there. Good luck with your class this week, keep writing and keep enjoying your hockey!